I've been playing Minecraft recently and thought "Hey, just to keep me amused in this game, let's make a TARDIS from Doctor Who!" And I did. 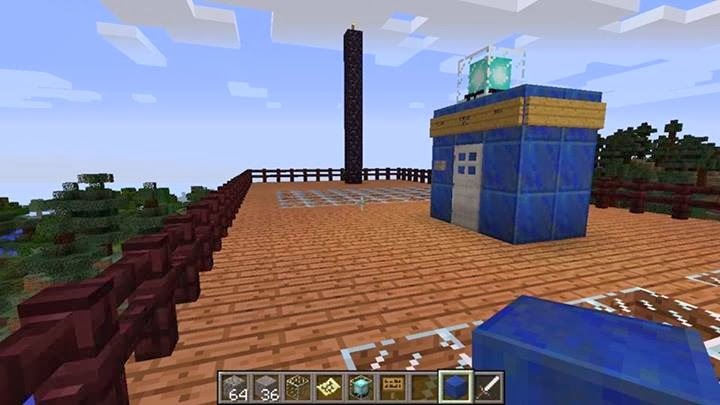 It looks like a portable toilet with a police siren on top but still, it's a TARDIS on the roof of my fortress. Yes, I have a video to do that tours you around. I'll probably get to that soon.